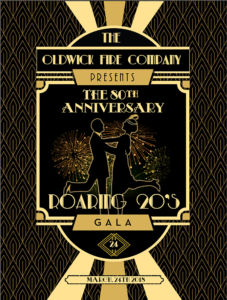 March 24, 2018 Oldwick Fire Company Gala- Getting Close- Tickets selling fast! 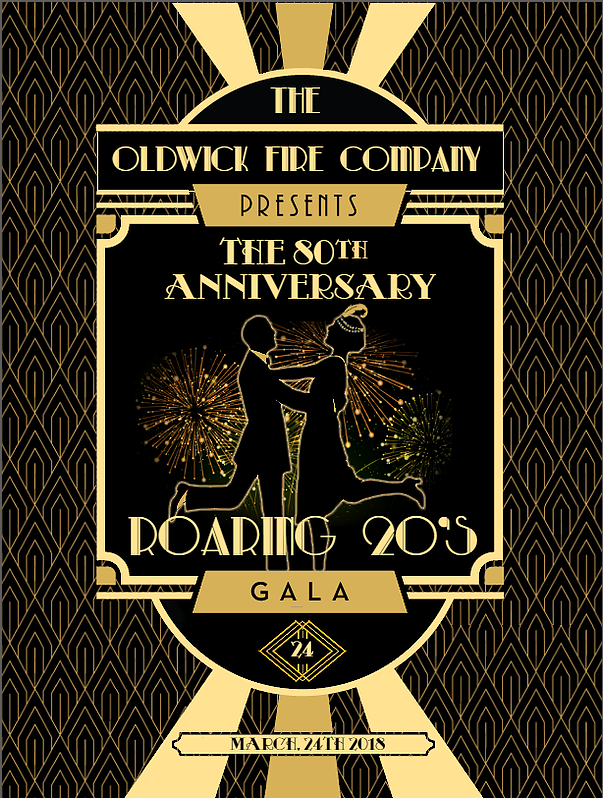 Join our community in coming together to support The Oldwick Volunteer Fire Company for an evening reception at the firehouse to dance the night away roaring twenties style! Guests will enjoy Hor d’oeuvres, a buffet dinner, cash bar with specialty champagne cocktails, silent auction, 50/50, wine pull, and live music. All of the funds raised will directly support The Oldwick Volunteer Fire Company as they continue to keep our community safe.